"BT helped me develop an incredible knowledge of Telecommunications. All the staff are down-to-earth and always offered me as much guidance as they possibly could." As an apprentice, you will earn a salary, gain hands on experience in a real job, by learning real skills. In addition, you will work towards a nationally recognised professional qualification. In a nutshell, the main benefit of an Apprenticeship is that you earn as you learn. At BT our apprentice schemes mean a permanent job with us. Anyone over 16, living in the UK and not in full-time education can apply for an apprenticeship. 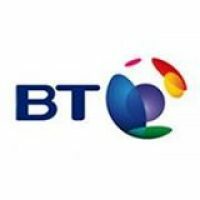 BT apprenticeships offer a structured programme that takes you through the skills needed to complete your apprenticeship. Along the way, you are supported by our dedicated apprentice development team. As most of the time is spent in the workplace, the majority of training takes place on the job. However, a few of our apprenticeships do have additional training taking place at a local college or a specialist training organisation. The outcome of this blended learning method will be a vocational qualiﬁcation which will help you succeed in your job and progress in your future career.